When a fortune teller tells Widge that he is going to "come into a fortune" Widge is not sure if he should believe her words. After all she told Widge’s friend Sam that Sam would be a traitor and how likely is that to happen. Widge tries to forget the old woman’s words by concentrating on his work instead. Unfortunately this turns out to be very hard to do for a lovely young woman walks into his life and her mere presence makes his head spin. Judith, William Shakespeare’s daughter, is a very distracting force and she makes Widge do all sorts of strange things; why Widge even tells her that he is writing a play, which he isn’t. Widge will do almost anything to get her to notice and admire him. As if this is not trouble enough, another very serious problem soon arises - costumes are going missing and their loss is an expense that the theatre company cannot afford. Unfortunately Widge is instantly under suspicion. Now the boy must fight to clear his name and he is determined to do everything in his power to protect the theatre and the people that he has come to love so much. Against the backdrop of Queen Elizabeth’s last months as queen, this third story about Widge and the theatre company that he belongs to is full of surprises and incredibly rich characters. Widge continues to grow and evolve, learning more and more about himself and coming to terms with who and what he is as he faces danger and hardship. 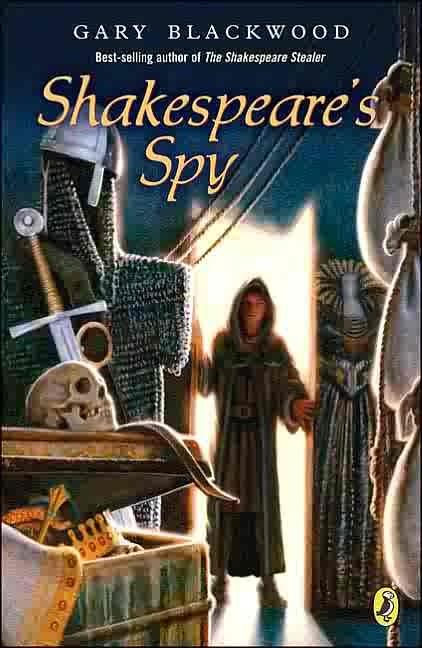 This is the third book in the Shakespeare Stealer series.